Last week saw a mass of beauty lovers trot to their nearest newsagents to pick up the July freebies and I was no different. Cue a mass of 'freebie' posts followed by 'products in action' posts and you get the gist. 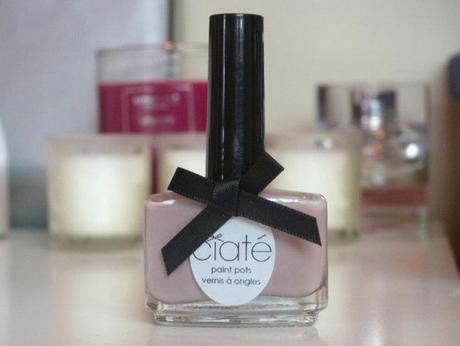 Not wanting to be one to break tradition I just had to post about the Ciaté polish which was free in this months Marie Claire. I opted for the color bon bon. 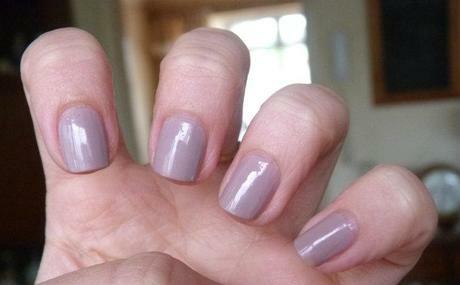 A neutral greyish lilac. I always think my nails look better with more neutral tones paired with a high gloss. I wasn't blessed with long slender talons so I find these shades to be the most flattering on my stubby little pointers. Priced at a rather hefty £9 per polish this is the epitome of high end so when the chance arose to see what all the fuss was about for a fraction of the retail price I jumped at the chance. Firstly the aesthetics of the paint pot are spot on. 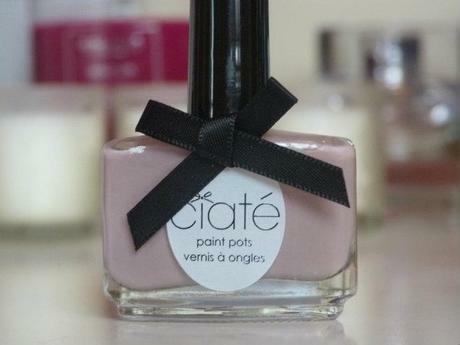 Beautifully adorned with the traditional Ciaté bow embellishment, the long slender handle is easy to grip and the brush is accurately sized to give a perfect coverage. On initial application its quite sheer so I was a little sceptical about how this would turn out after my previous experience with Essie Fiji requiring several coats to achieve an opaqueness I was happy with (typical Virgo perfection). With that said after just the second coat it was sufficient. The drying time for this is bar to none, after applying to my left hand it was completely dry by the time I had finished the right hand. Pretty impressive right? A quick slick of my Seche Vite top coat and I am good to go. Perfectly glossy, streak free nails. If you like your nudes with a hint of color then this is going to appeal to you. Think Essie Merino Cools much paler younger sister :-).